Well the day came that nobody ever wants to go through…bed bugs in the bedroom, bed bugs in the spare room and bed bugs in the couch! We searched online what the best treatment was and a lot of people recommended Bed Bug Barrier! Within a few minutes we purchased the “Bed Bug powder killer” and the duster and waited patiently for the goodies to arrive. Sleepless nights with the bed bugs, bed bugs what you going to do riddle constantly replaying in my head was not the best! The day the delivery driver knocked on my door was music to my ears. We used the very helpful videos and instructions found on the website and sprayed the house in every little crack. 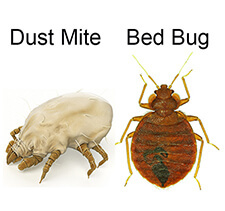 Bed bugs no more – more than one year later and we still haven’t seen any of those pesty critters! Thank you Bed Bug Barrier…we couldn’t have done this without you!